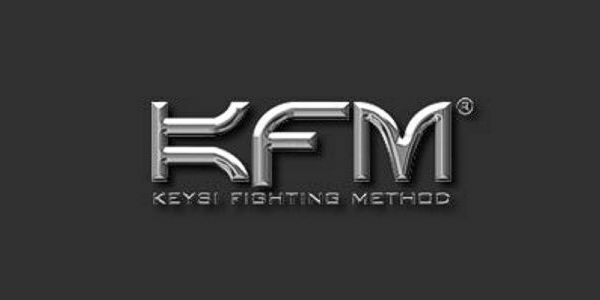 Keysi Fighting Method (KFM) is a method of self defense that is based on natural fighting instincts, martial arts and street fighting techniques, developed by Justo Di guez Serrano from his fighting experiences while raised on the streets of Spain. The system was founded with the help of Andy Norman. The Keysi Fighting Method became famous after it was used in the fighting choreography of the movies Batman Begins and its sequel, The Dark Knight. It was also featured in the final scene of Mission Impossible 3 with Tom Cruise. Keysi Fighting Method is not an art made up of different arts, nor is it a mixing of techniques extracted from different styles. 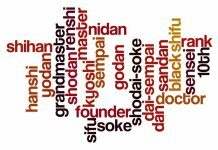 Rather it is a way a philosophy of life based on the growth of a person with Martial Arts as a transportation element that follows a philosophy which is based on knowledge, research and experimentation. It is a way of understanding, developing, expressing and transmitting knowledge, a perfectly planned and defined unity of concepts and principles, the fruit of long, rigorous and tested introspection. 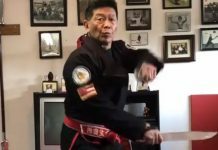 Keysi Fighting Method was developed throughout the 1960’s and beyond, and therefore it is not regulated by traditions, nor do traditions limit the development of new technique. Survival is about change and this method is always evolving, fueled by research, investigation and experience. It breaks free from past conditioning. The thinking man or “pensador” is primary in the Keysi Fighting Method. This defensive shape has the combatant place both hands on his head and he guards his head and face with cyclical movements of the forearms and elbows. The pensador uses a system of “windows” during these rapid and fluid movements to sight the opponent. This system allows the combatant to protect his face and head while maintaining a visual on his opponent. 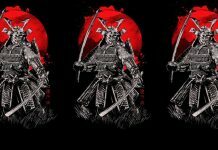 Keysi Fighting Method practices all ranges of attack for combat, but, unlike many traditional martial arts, most fighting takes place in extreme close quarters and uses high, middle, and low lines of attack, working against opponents with or without weapons. From the Pensador defense a variety of counter attacks are launched to vital targets, the biceps, kidneys or solar plexus. 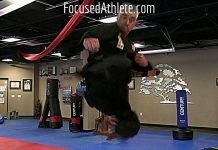 Keysi Fighting Method also relies on understanding how people typically move or attack in a fight so that when striking, the opponent’s body is moved to expose more targets. Another aspect of KFM is its “360-degree” approach to multi-assailant attacks whether standing, kneeling, sitting or lying down. Part of Keysi Fighting Method’s philosophy is the redefining of the terms “predator and prey” as well, where the would-be victim becomes the predator and the would-be attacker his/her prey. 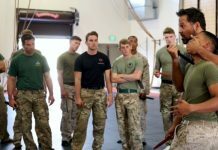 Keysi Fighting Method practices all ranges of attack has a Code of Ethics including principals relating to Purpose, Self Respect, Persistence, and Perspective. Purpose is your mission in life. Self Respect is the satisfaction and pride you find in your own achievements and in those you care for, and must be tempered with humility. When purpose is clear and “ego” is under control, the third principle is Patience. It takes patience, effort, and dedication to do a good job, to make an investment which allow goals to be reached and ultimately one’s purpose in life to be achieved. Even though patience is necessary, it will never be enough without persistence. Never give up! Next is Perspective or the ability to understand what is really important and to see clearly in any given situation. Purpose, self respect, patience and persistence are like a wheel whose axle is perspective. Keysi Fighting Method was introduced to Hollywood films by Buster Reeves, a top Hollywood stuntman, and by Paul Jennings, a top Hollywood stunt coordinator. The Batman movie franchise probably had the greatest impact on the promotion of KFM around the world, when KFM was used to choreograph the fight scenes in the movies Batman Begins and its sequel, The Dark Knight. KFM originated in Spain so the majority of it’s 98 worldwide schools are located in Europe. In 2007 it was bought to the United States where it now has Academies established in New York, Los Angeles, Texas, Georgia, Maryland, Delaware, Arizona and Florida. KFM has also been contracted now by the military and law enforcement communities for training programs which have been specifically designed for these areas. It will also be featured in more in hollywood as new movies featuring the KFM fighting style are on the way. It continues to expand rapidly now in the USA and throughout the world and is becoming an up and coming force within the Martial Arts Industry.